An adorable little photo frame that is sure to look the part in any nursery. 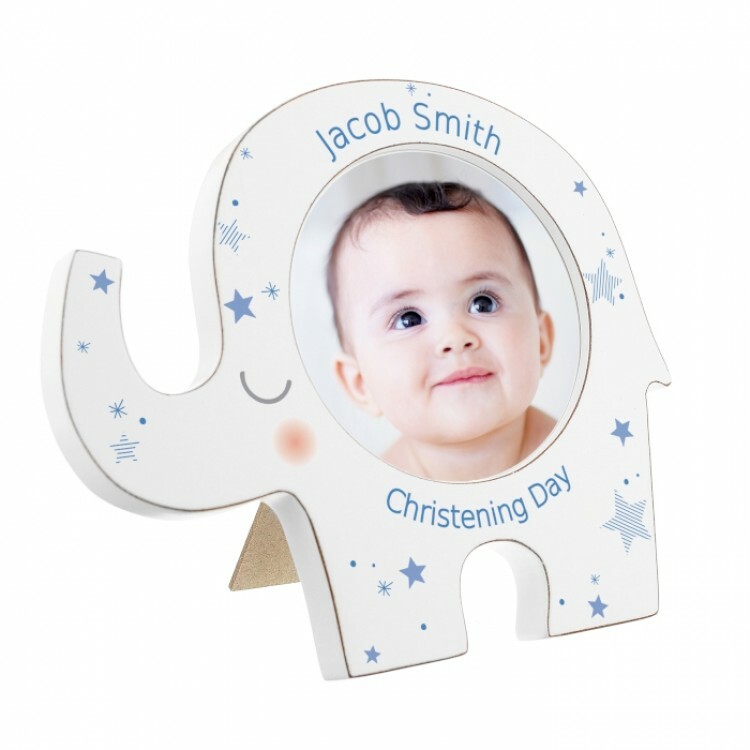 You can personalise this elephant shaped frame with 2 lines of text up to 20 characters per line. Line 1 will appear above the photo and line 2 will appear below the photo. The text is case sensitive and will appear as entered. It's perfect to display baby's name together with their birthday for example. This frame will fit a photo with the diameter of 10.2cm. 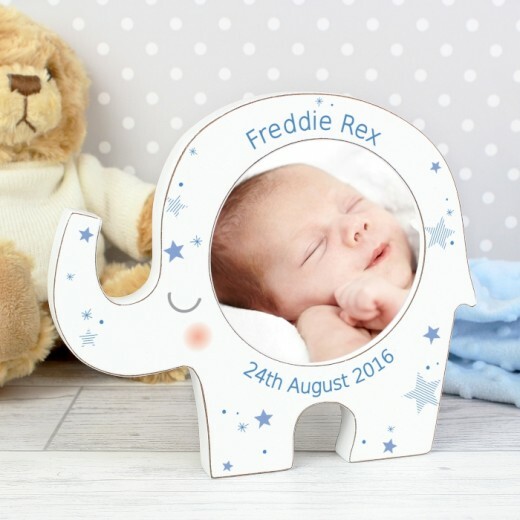 Can be displayed hanging or nursery wall or standing on beside cupboard or table.